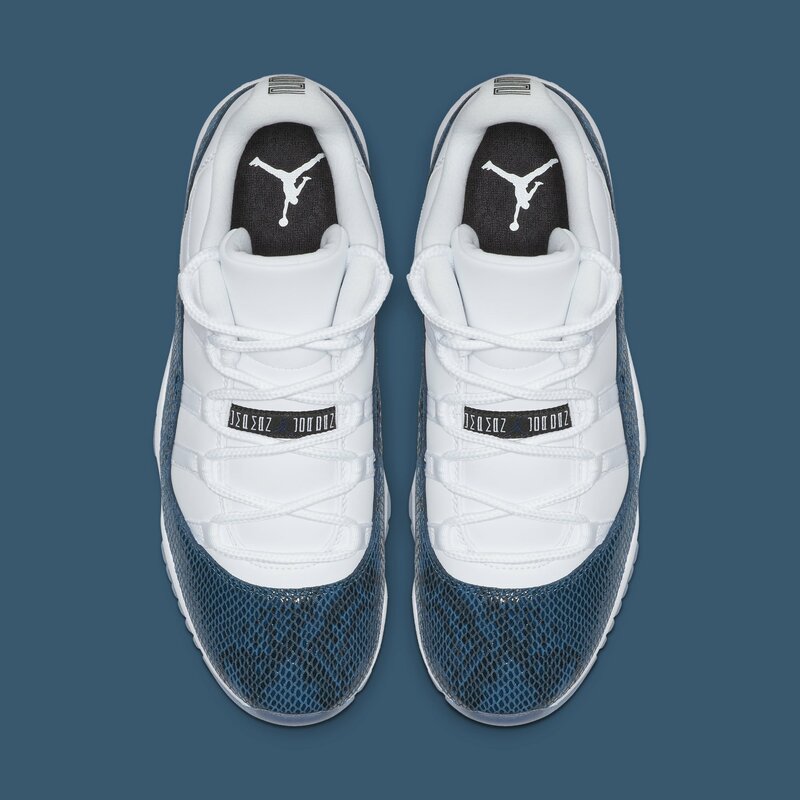 These fire kicks come equipped with a white leather upper, blue snakeskin mudguard and translucent outsole. 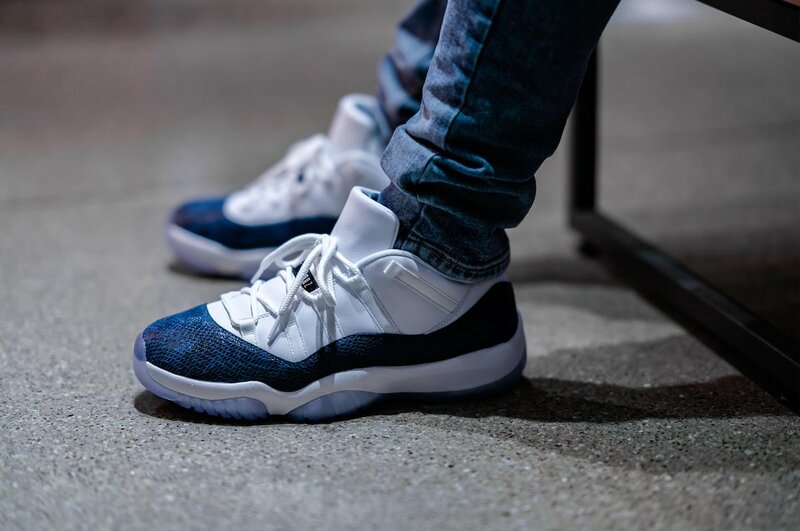 On-foot pics of these 11 Lows look spectacular and offer a great preview of what they’ll look like on you! 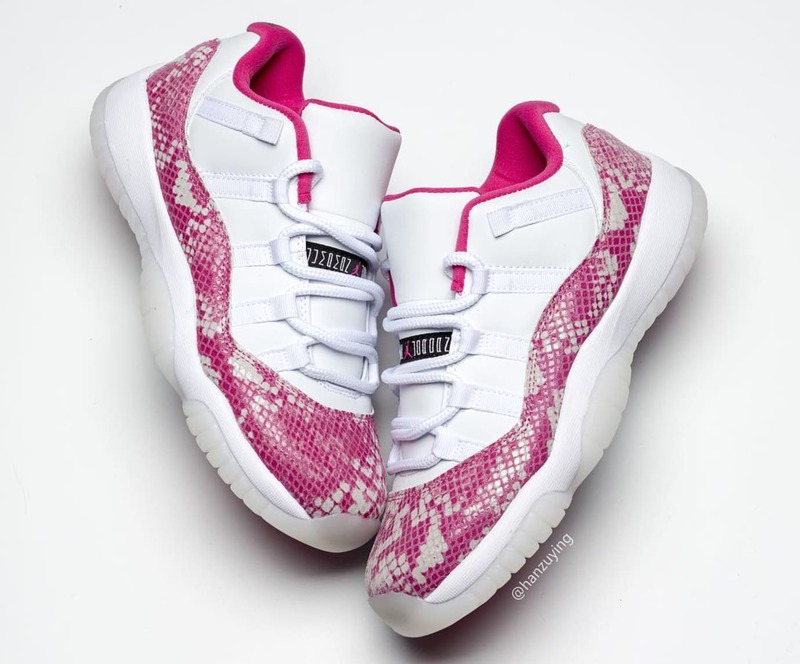 Pick up your pair on April 19th from major retailers like Finish Line for $185! 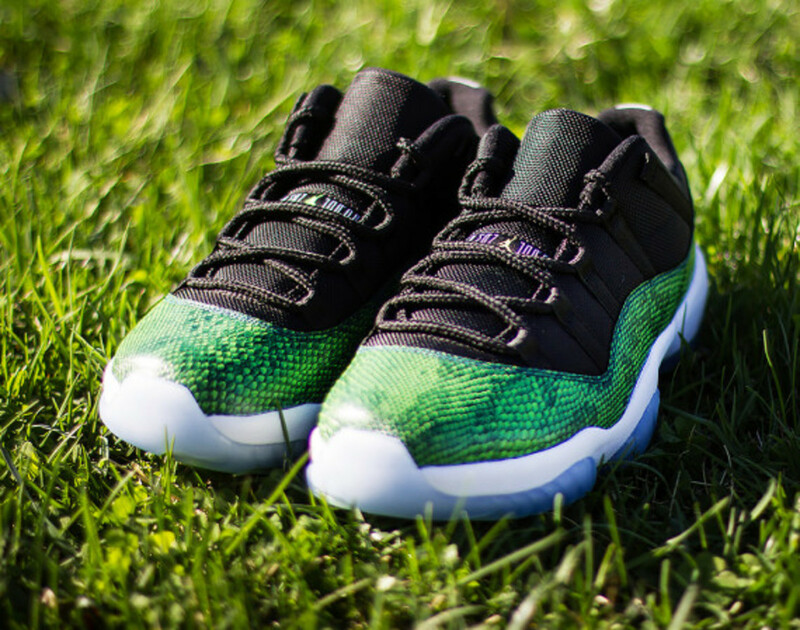 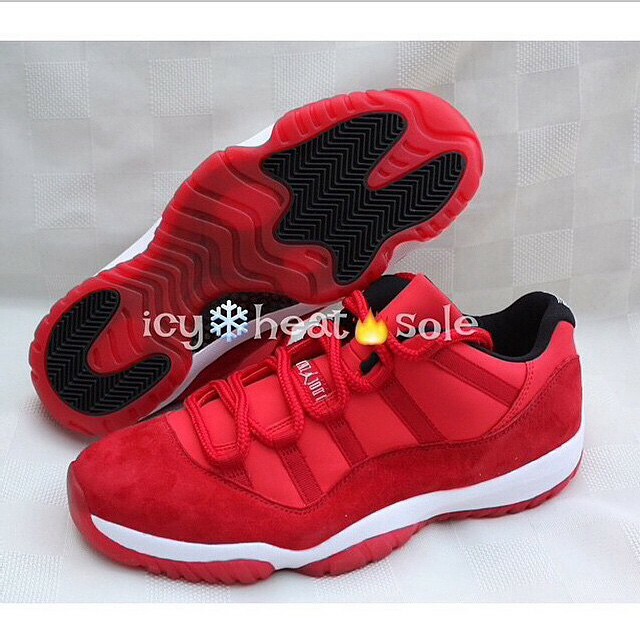 Get ready for the release with a quick walk through Air Jordan 11 Low Snakeskin history starting with the 2001 OGs. 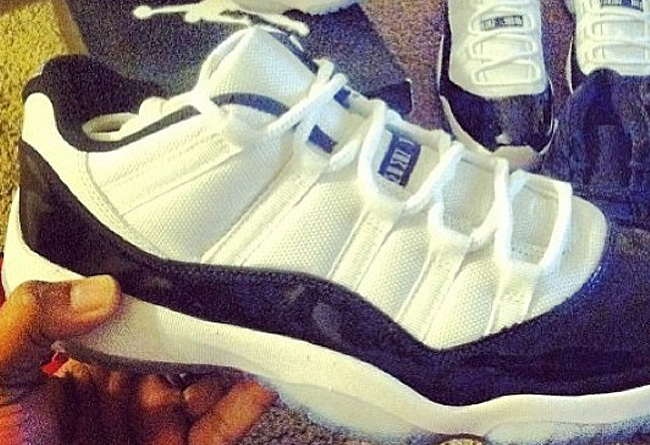 Man, hasn’t that outsole yellowed beautifully? 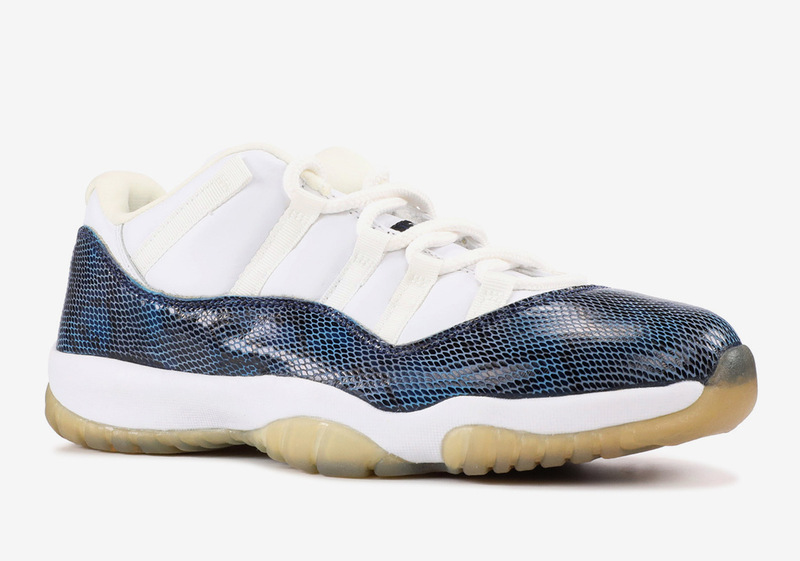 Now viewed as a modern grail to some, the OG Snakeskin Air Jordan 11 Lows instantly awed sneakerheads with its lux take on MJ’s most fabled shoe. 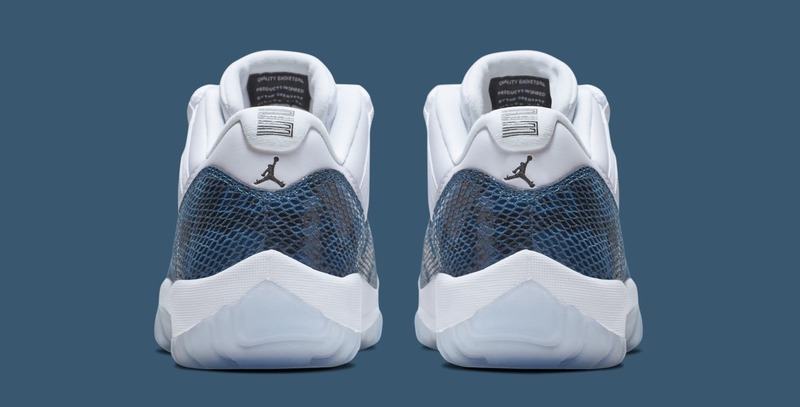 Obviously direct inspiration was taken from these beauties when JB created the 2019 Blue Snakeskin Lows, but this year’s release features a much truer shade of blue (the OGs were more of a metal blue). 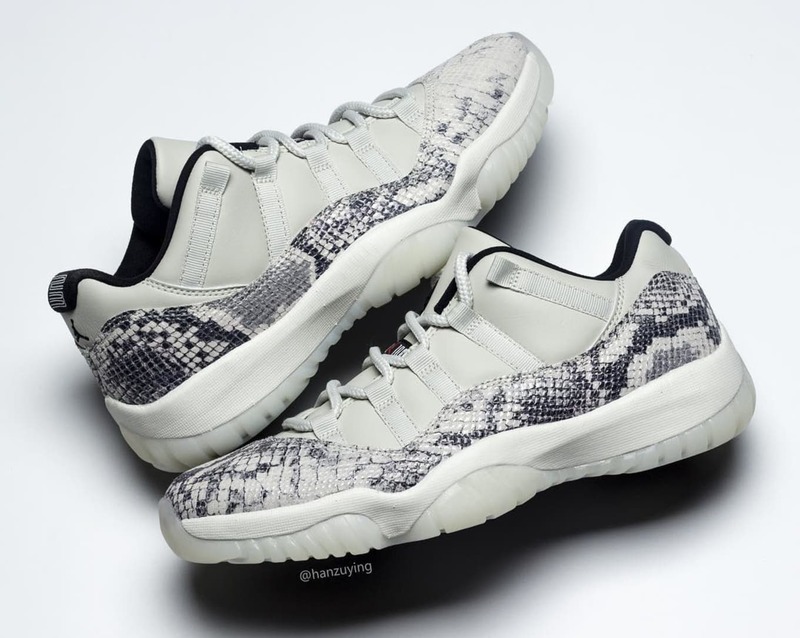 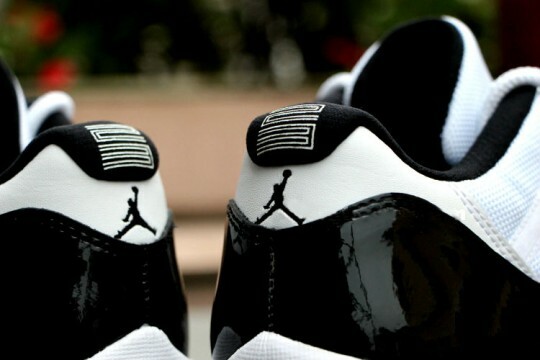 In the near future we’ll be treated to a special edition Air Jordan 11 Low Snakeskin in a monochrome bone colorway. 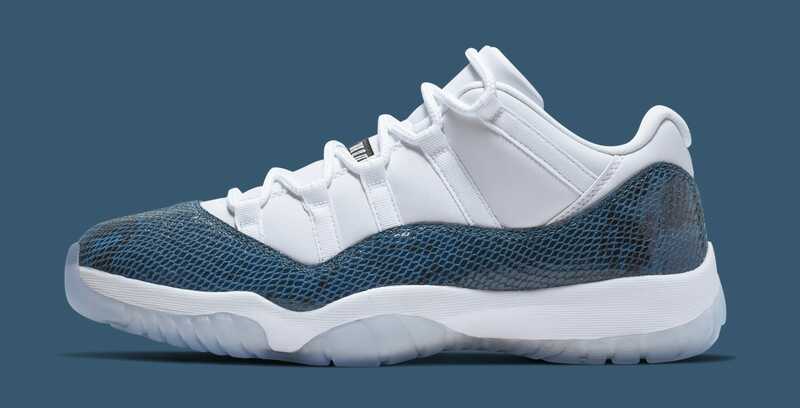 Look for these to drop 06.01.19 in men’s and women’s sizing. 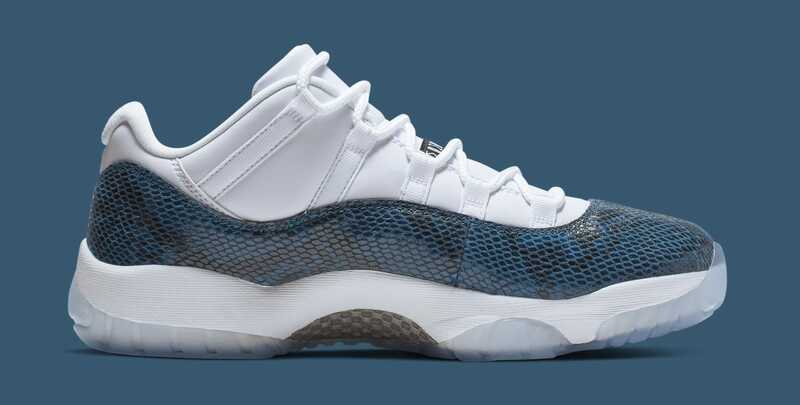 Peep more official images of the Air Jordan 11 Low ‘Blue Snakeskin’ below!